Celebrate winter by joining us for a storytelling solstice walk through the wetland trails at Evergreen Brick Works. Make sure to come early and make a paper lantern to fill the darkness with extra light. Note: This is not a school trip – Parents would need to arrange to go on their own, if they want to. 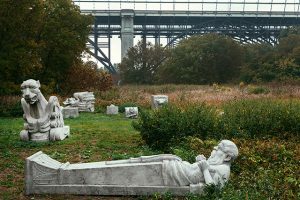 Since the solstice is an important part of our Waldorf approach, we thought some families would like to take advantage of the opportunity to be in nature in the middle of the city at the wonderful Brickworks site. For this GivingTuesday, on November 28, A Different Booklist Cultural Centre (A neighbouring Cultural Centre) will be conducting a story telling session. 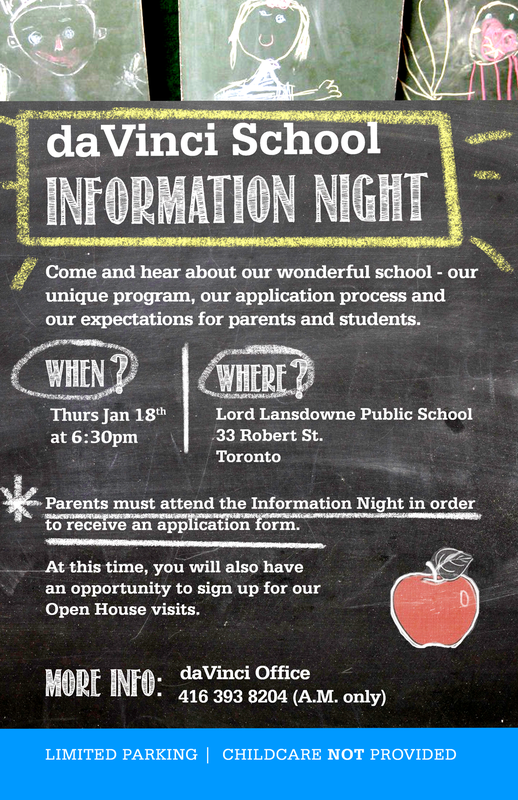 We would like to invite kindergartners and first graders to this fun, community event. 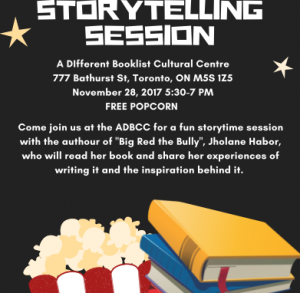 Come join us at the ADBCC for a fun storytime session with the author of “Big Red the Bully”, Jholane Habor, who will read her book and share her experiences of writing it and the inspiration behind it. GivingTuesday is a new movement for giving and volunteering taking place every Tuesday after Black Friday and Cyber Monday. Charities, companies and individuals have the opportunity to share commitments, support and spread the word about their favourite causes and essentially care about others. A Different Booklist Cultural Centre: The People’s Residence is a non-profit hub, destination and space dedicated to the intellectual and cultural experience of people. It is a place where invention and pioneering meet to create youth expression and intergenerational activity. It is a “green” hub in practice and design with its incorporation of innovative technology. It is a legacy project that embodies the opportunity to engage in infrastructure building, civic engagement and the creation of a destination that will inspire all Canadians and attract cultural tourism. Nut-free, for sure. Gluten-free and vegan welcome. Thank you for your assistance in updating immunization requirements for your children! Improving immunization coverage reduces the spread of diseases and keeps our students and staff healthy. Toronto Public Health is assessing the immunization records of students in Grades 2, 3, and 4. The varicella (chickenpox) vaccine is mandatory for all children born in 2010 or later. If your child does not have all the needed vaccines, please contact your health care provider. Thank you for helping to keep our children healthy. 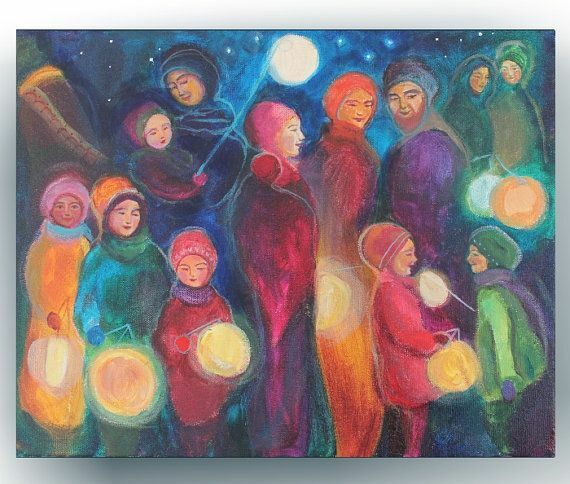 Please save Wednesday, November 8 at 5:30 pm for our annual Lantern Walk, a very special Waldorf tradition. 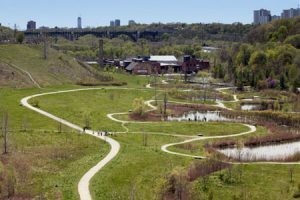 As part of our commitment to the environment, here is some information from the newly formed Don River Valley Park about walks or rides families may want to consider doing on the weekends. There are a variety of arts projects associated with the park, as well. On Tuesday, October 31 at 1:30 pm – We will have our Traditional Halloween parade around the block with both schools. Parents are welcome to join us for the parade – it’s always fun to be part of the excitement. Please meet your child’s class outside in the schoolyard at 1:30. If it rains, the parade will be a mini-march inside the schools and around the gym. Classroom celebrations will focus on the fun and fantasy associated with this traditional festival. Children are welcome to dress up, if they wish. We know that there is a powerful use of the imagination when children take on a new identity through wearing a costume. We suggest that students wear costumes that reflect the Waldorf inspiration of the school, so their borrowed identity reflects a character worthy of emulation – perhaps characters from traditional tales and rhymes, noble beings (animal or person), heroes from myths and legends, creators (farmers, builders, crafters, artists). Please check that your child can safely walk around and climb stairs in their costume. No violent, sexualized or commercially-focussed costumes. No masks to be worn during school, for safety’s sake. No weapons or replica weapons at all. Please save those for home use. Food is usually part of each class’s celebration, but we ask that you send only healthy and natural foods – no sugary or salty snacks. Your child’s teacher will send information home about the specific kinds of food they wish to have as part of their classroom activities. After Halloween, please do not send candy to school. We have many children with life-threatening allergies, and often treats handed out at the door may contain contaminants or allergens such as nuts or nut oil. If you do not wish your child to take part in Halloween celebrations, for religious reasons, please let your child’s teacher know so we can make alternate arrangements for their supervision. Hallowe’en provides an opportunity for parents and children to spend time together creating costumes, carving pumpkins, planning trick or treat activities and participating in family parties. Hallowe’en is a big event at schools and provides opportunities for parties, creative activities, art programs and impromptu history lessons. Hallowe’en is also a time for students, parents, and schools to take extra care to ensure safety and security. • Children should NEVER eat any treats until parents have had a chance to go through them and inspect them. Parents should look for tampering of packages and discard any they believe to be unsafe or unknown. • Have your child carry a flashlight. • NEVER go into a stranger’s house. • NEVER trick or treat with people you do not know. • Trick or treat only at homes you know. • Children should always stay in groups if no parent is present. • Younger children should ALWAYS be accompanied by an older person. • Accompany your child when trick or treating. • If you cannot accompany your child, then know the route your child will take. • Flame resistant (retardant) costumes are in order. Keep costumes short and remind children to stay away from pumpkins with candles in them. • Remind children to stay away from pets they do not know. • If adults are driving their children, drive slowly, with lights on and be cautious when pulling to the side of the road. • Children should wear their own shoes when trick or treating. Wearing costume shoes/boots can be dangerous and uncomfortable. • Remind children that not everyone celebrates Hallowe’en, and to avoid any homes that have no lights on. Also remind children not to run through neighbours yards or gardens. • With older children, be sure to know what other events (such as parties) they plan on attending. • Set time limits when children should return home. The safety of students and staff is a top priority at our school. Though no one ever wants to see an emergency happen at a school, it’s important for school staff to be equipped to deal with those situations, should these occur. The TDSB has taken steps to ensure your child’s safety while in school. Each school has developed emergency preparedness plans that include steps staff will take in the event of an emergency, how staff will get students away from possible dangers, and how students’ families will be contacted. One aspect of emergency preparedness is the lockdown and fire drill. Lord Lansdowne and da Vinci have completed the first of six mandated fire drills and our first lockdown drill. All schools are required to conduct a minimum of two lockdown drills and six fire drills each school year. Lockdown drills, like fire drills, are an essential component to ensuring student and staff safety. It is important that all staff and students are prepared and know how to respond in cases of emergencies. The drills last approximately 5 minutes. They ensure that our plans are effective and can also help us identify any safety concerns. Communication is also very important in any emergency situation. The emergency contact information kept on file is important in helping this happen. It lists the people who can pick up a student from the school. If you have not yet provided this information to the office or have updates to the information on file, please make sure our office staff have that information as soon as possible.